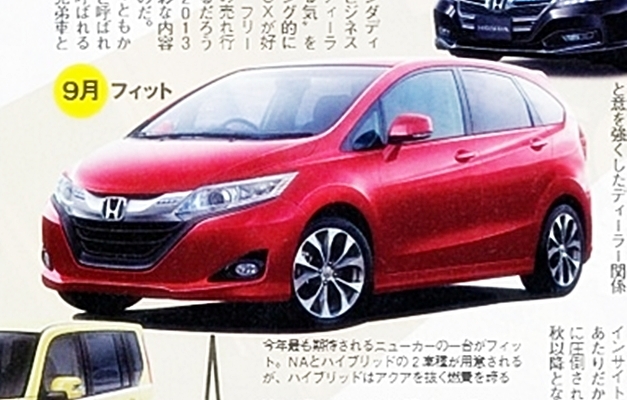 After the recent launch of Honda Amaze, Honda is now planning to launch the Next-Generation Honda Jazz in early 2014. Honda’s traditional Jazz and Civic has already been discontinued by the company from the sales market in India since it had a lacking diesel engine and it did not support the company financially as well. 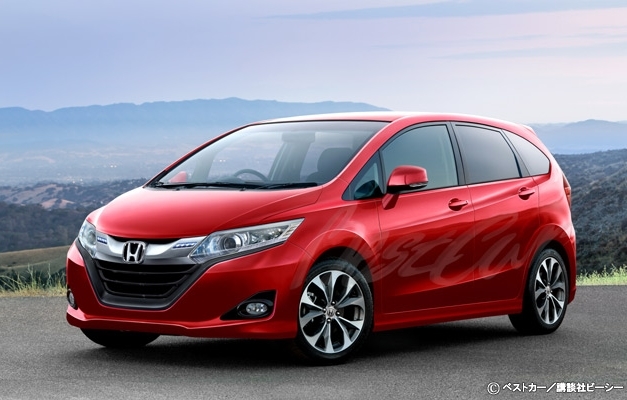 From the recent renderings provided by noticiasautomotivas.com.br, the all-new 2014 Honda Jazz (or Fit in some markets) looks large and stylish compared to the traditional Honda Jazz. 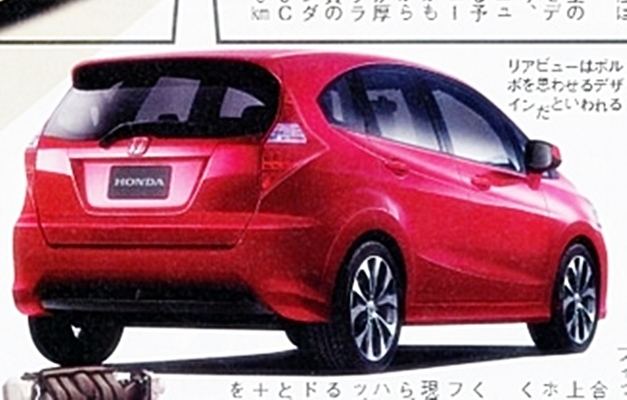 Some of the changes expected in the all-new Honda Jazz as per noticiasautomotivas.com.br is it would be 0.6 meters longer than the traditional Jazz i,e the overall length has been increased from 3.9 to 3.96 meters, wheelbase has been increased from 2.50 to 2.58 meters, increased legroom at the rear and massive trunk which would be greater than 400 liters in volume. The all-new Honda Jazz would be introduced in a new design platform which would be later shared by the next-generation Honda City and the upcoming compact SUV. The Next-Generation Honda Jazz is expected to be revealed at the Tokyo Motor show this November which then later is expected to be launched in the Indian market. The Next-Gen Honda Jazz would have an option of both 1.2-litre petrol engine and 1.5-litre i-DTEC diesel engine which has already been equipped in the recently launched Honda Amaze. So with this new diesel engine in place by Honda, the all-new Honda Jazz is expected to be more fuel efficient than the traditional Jazz. Check out more rendered pictures, after the jump. Next articleSpy Shots – A clearer view of India-spec 2013 Skoda Octavia interior revealed!